Creating theater from non-theatrical text is a first difficulty. To swift an epos to a theater performance, and even to work on one of the most inaccessible epos of the world literature, is a challenge for any creator who wants to make an important step along his way, beyond his facilities and certainties. In our case, a big chain of heroes and events pass through the bodies, the voices and the narrative process of a narrator and of an actor. The goal is that "Kalevala" lives in the present moment. The body and the voice of the two doers are watered by the kalevalian universe and in turn they illuminate it through their own poetry and creative research. In terms of dramaturgy, it has been investigated the core of the beauty of the text, in terms of theater direction its reflection in the present moment and space as well as its connection with the spectator, and in terms of actor’s approach the birth of a parallel epos, the one of the actor-human. The first part of "Kalevala" opens a window to the very first beginnings of human nature, where the man seeks for heeling from his constant struggle for power in the "harbor" of the female presence, accepting the sufferings that this brings. And the woman on the other hand loses her innocence, her home in order to mature and meet with the other half. The human does not even hesitate to pass to the “other bank-side”, to overcome his arrogance, to draw every fiber of creativity and cunning, as a timeless Odysseus, and meet with the grotesque and the tragic at the same time. The search for "Sampo", the enigma of enigmas, gives the heroes' destiny a dimension that transcends them and which will unfold further in the next parts of the epic. At the end, one can say that the first part of Kalevala reminds us of Albert Camus's phrase: "Life can be wonderful and exciting, that's all its tragedy. Without beauty, love or danger, it would be almost easy to live. " What was before human? How human appear? Why he appeared? How human decadence appeared? And what about God or gods? Did they stay with him after the creation and in which way? These are fundamental questions that man no matter his tradition develops in his simplest stories or more elaborated myths..
Theatre, music, singing, narration are the tools to bring us, both artists and spectators, in front of our big human and sacred heritage: The memory and the responsibility. In this path of memory and responsibility, poetry is the vehicle and hope is the fuel. A performance that took place in the forest, up to Aroania mountain. Inspired from the topic of sacred and based on Bible's text, Fernando Pessoa text and actor's texts. Various traditional and sacred songs have also been used together with vocal non verbal structures. Aishwarya Kumar, Helena McRela, Onisiforos Michael Onisiforou, Marta Cavassa. The vision of collaboration between Iranian Kurdish and Greek theatre artists on a common project is now finally taking place after the first meeting of Saad Gahremani and Stamatis Efstathiou during University Theatre festival years ago in Tehran. The general ambition is connected with the idea to explore well rooted Kurdish and Greek myths, precisely “Saidawan” myth and “The myth of Er” (from Plato’s Republic). The topic that links these 2 myths is DEATH and what follows after it according to ancient folk or philosophical beliefs. In Saydawan myth Abdol-aziz has a nightmare. The interpretation of it is horrible. He decides to arrange a majestic marriage ceremony for his oldest son to avoid the omen, but his son dies. So he decides to get the bride to his second older son but due to an accident he dies also. So desperate Abdol-aziz holds the marriage to his last son Seydawan, whome inadvertently will be killed by his father. Seydawan is a combination of an experimental performance based upon Kurdish traditional music. In the “Myth of Er” one simple soldier, Er, is dead after a battle but his body is not decomposed. Additionally his soul is wandering around in Ades where it is experiencing a rich metaphysical journey. Er’s soul is passing through 3 different spaces, where him and other souls exchange their previous life experiences, he listens to Siren’s and 3 fates (Moirae) harmonic singing and where finally passes through a ritualistic process in Amelita’s river, in Persaphone’s field. Plato is presenting a deep and advanced vision of a possible destiny of human soul after death and of his perspectives of reincarnation. Though contradictory it might sounds, Plato’s metaphysics have a clear reference to the position and the decisions of human being in the social-political frame as well as in his philosophical and mystical investigations. The “free will” is the key word in order to somehow get in contact to Plato’s metaphysical concepts, which are, as himself wished so, open to interpretations. It is also worth to mention the role of music that Plato attributes to human’s evolution and to the personal development throughout his different-reincarnated lives. The harmony in music is somehow the equal equivalent of human towards inner eternal harmony. Animalismus is a performance created during ENERGIA 2014 by Atropos theatre in the village of Bela Rechka, in Bulgaria. Inspired from the plot of George Orwell’s “Animal farm” Atropos presents a metaphor of the everlasting human obsession and drama to build the ideal common social frame to live in. In this “paradise on earth” everything is put in order and there is no space for oppression and social injustice. In the village of Gorna Bela Rechka – in northwestern Bulgaria. Спектакль Animalismus создан во время проекта ENERGIA 2014, осуществляемого в данный момент театром Atropos в деревне Горна Бела Речка в Болгарии. Вдохновлённый сюжетом повести Джорджа Оруэлла «Скотный двор» спектакль Animalismus представляет собой метафору вечной человеческой драмы и одержимости идеей построить идеальные общественные условия для жизни. В этом «земном раю» во всём царит порядок и нет места притеснению и социальной несправедливости. В этом спектакле «животные» поставят человека-зрителя лицом к лицу с его собственными демонами и противоречиями. Как только человеческая anima (душа) откроет свои врата, ANIMALISMUS начнёт устанавливать свои принципы, и цена их будет высока. Η Άτροπος εμπνέεται από τη ‘Φάρμα των ζώων» του Τζόρτζ Όργουελ για να δημιουργήσει μια μεταφορά της ανυρώπινής εμμονής και του ανθρώπινου δράματος να δημιουργήσει το ιδανικό κοινωνικό πλαίσιο διαβίωσης. Σε αυτόν τον «επίγειο παράδεισο» όλα είναι τοποθετημένα σε τάξη και δεν υπάρχει περιθώριο για καταπίεση και κοινωνική αδικία. Στο χωριό Μπέλα Ρέτσκα, της βορειοδυτικής Βουλγαρίας. „ANIMALISMUS“ е спектакъл, създаден по време на проекта ENERGIA 2014 от Атропос театър в село Горна Бела Речка, България. Вдъхновен е от сюжета на романа "Фермата на животните" на Джордж Оруел. Атропос представя метафора на вечният човешки стремеж и драма за изграждане на идеална обществено-социална рамка, в която да живеем. В този "рай на земята" всичко е подредено и няма място за потисничество и социалната несправедливост. В село Горна Бела Речка, Северозападна България. Human beings, almost in the middle of nowhere, at the same time all their past melting with their future. Simple and basic life lines cross each other and bring as result a painting in space and time. 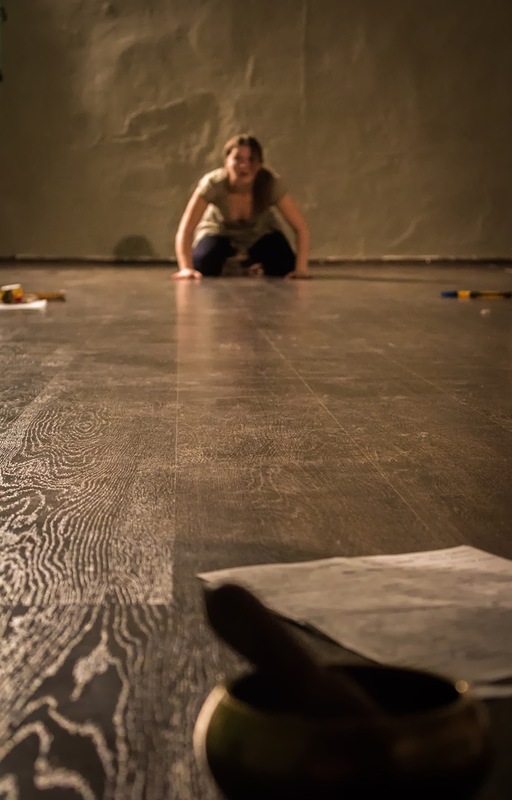 BELA TUVA GODONIA furthermore develops the path and deepens the work on the waiting theme, main research orientation of Atropos theatre and of Stamatis Efstathiou – Atropos artistic director – of the last 2 years. 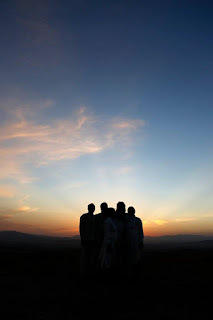 The performance is the fruit of intensive work during last “Energia” gathering of Atropos collaborators in Bulgaria and of “Kosmos” expedition in Tuva (South Siberia), where from the team tried to incorporate elements of Tuvinian cosmology, nature and vibrations in general. Details of the performance have been reloaded and reconsidered for the tour in different cities of Russia (St Petersburg, Moscow, Saratov). Most of the texts used in the performance are written by the actors. The songs belong to different world traditions. 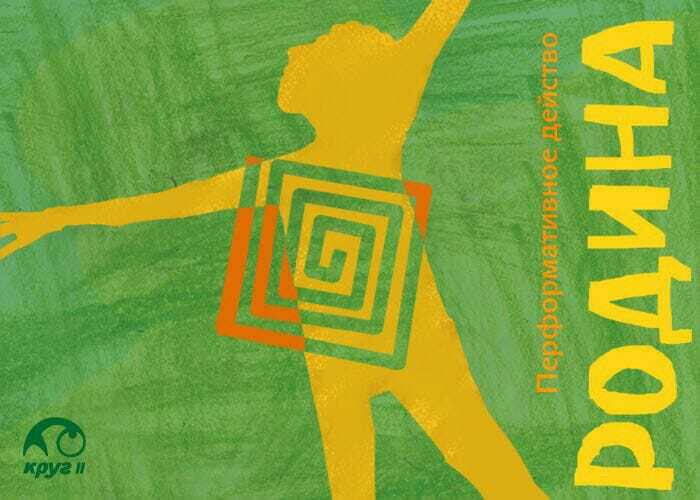 TUVA GODONIA is a performance directed by Stamatis Efstathiou – the artistic director of the company – with the participation of Zhenja Klekotneva, Sofia Kolobova, Svetlana Antropova and Sergei Sozin, and documented by Pavlos Cavadias and Tomek Deko. 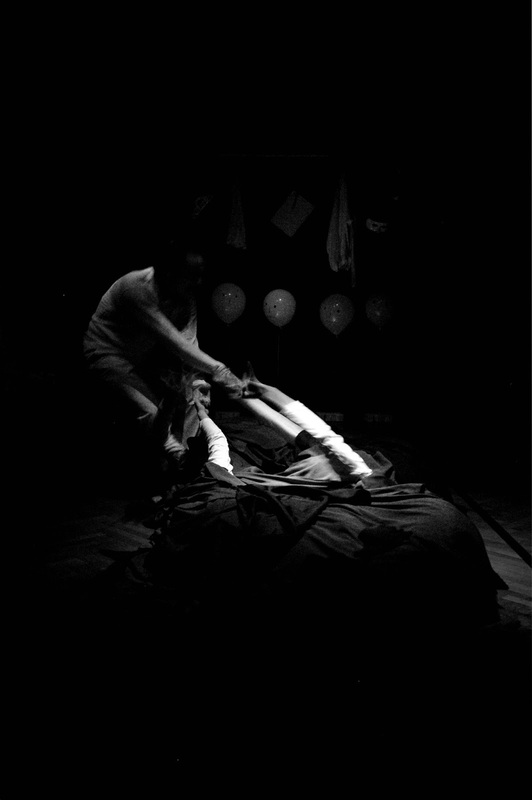 It is a performance that reflects the theatre universe of ATROPOS and focuses on the topic of waiting, main subject of creation and research of the company for the last two years. 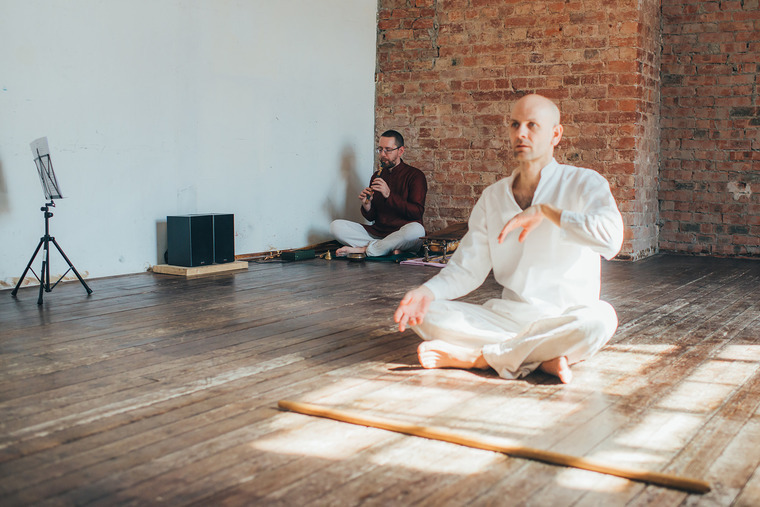 At the same time this performance incorporates vibrations of Tuvan nature and cosmology as the group has experienced them during the expedition. The texts used in the performance are written by the actors apart from one small fragment of Samuel Beckett. The songs belong to different world traditions (American Indian, Bulgarian, Spanish, Arabic, Russian). 6 performers and the director decide to host their expectations in a wooden refugee of north-west Bulgaria. They are almost in the middle of nowhere but at the same time all their past melts with their future. Simple and basic life lines cross each other and bring as result a space and time painting. BELA GODONIA develops furthermore the path and deepens the work on the waiting theme, main research orientation of Stamatis Efstathiou – Atropos artistic director. I am waiting for something or this something is waiting for me? And if it waits for me what I am supposed to do so that I reach it? Is it finally possible to reach it and if it is, will I still be the same when I touch it? GODONIA is the culmination of work that took place during ENERGIA PROJECT 2012 ( http://www.facebook.com/events/439901016055030/). Czekam na coś, czy też to coś czeka na mnie? A jeśli czeka na mnie, to co należy zrobić, żeby to zdobyć? Czy ostatecznie możliwe jest zobycie tego, a jeśli tak, to czy pozostanę sobą, jeśli tego dotknę? W opuszczonej stodole, we wsi Nowina w południowo-zachodniej Polsce tego typu pytania przenikają się ze skrawkami życia, z fizycznymi i wokalnymi wibracjami tworząc nową metaforę życia: “Godonia”. The “Journey of fools” performance is the vehicle to see r...eality upside down, to become mad and stare madness of civilization, to discover coherent but burning reality of non-logic, to realize the level of human lightness and stupidity and at the same time search for pure existence. And let it grow over the limits of knowledge. What surrounds the human existence cries through its inexistence. In this point-point zero- one woman, one man take the thread from the beginning. The cause and the result define their action, guide their music, their song, their silence. In other words, their Karma floats without stop in spirals in one history- in the history- where chaos meets the order and the opposite. Three “doers”, two performers and one musician, profaning respectfully the limits of body, of sound, of meeting. The subject man-woman is the third time that obsesses the Experimental Theatre Company Atropos. Its archetypical dimension is being researched and defined every time from the beginning and in a different way. In AIM in 2004, through the use of mask, of sticks and of registered text. In APETITES in 2005, through the use and the transformation of one object. Now in KARMA (2009) through the live implication-complicity of one profane musician and the integration of physical and sound landscapes which are born hear and now. In the border of Butoh dance, of organic song and physical theatre. Towards a Theatre of Connection. * The performance has already been presented in festivals in Greece, in Armenia, in South Korea,in Iran and in Russia. Άνθρωποι που αναπτύσσουν ιδιαίτερες- αποκλίνουσες συμπεριφορές αποκλείονται κοινωνικά. Απομονώνονται- ιδρυματοποιούνται με στόχο το συνετισμό και την «προσαρμογή» τους στη κοινή λογική, στο γενικό κοινωνικό κανόνα. Ένα δρώμενο, του οποίου η γλώσσα πηγάζει από τον ευρύτερο χώρο του σωματικού θεάτρου. Στο επίκεντρο τείθενται μεταρεαλιστικά και εξπρεσιονιστικά επίπεδα, οργανικό άσμα, άναρθρος ρεαλιστικός και ποιητικός λόγος. Οι θεατές δεν παρατηρούν απλά, γίνονται δράστες- «συνένοχοι». Η ομάδα Άτροπος δημιουργεί έναν καινούργιο κόσμο τον …Άκοσμο. Η εξπρεσιονιστική έκφραση με τη μιμική, το παιχνίδι και η τελετουργία συναντιούνται μ΄ ένα λόγο υποσυνείδητο, σπαραχτικό κι άλλοτε παράλογα διλληματικό. Δύο θνητοί, ένας άντρας και μια γυναίκα, αποφασίζουν να περάσουν από τον κόσμο στον «άκοσμο». Εκεί βρίσκουν τα «πλάσματα» τα οποία για να τους δεχθούν στον «άκοσμο» τους υποβάλλουν σε μια σειρά από δοκιμασίες. Πρόκειται για ένα επώδυνο ταξίδι μύησης και αναγέννησης της ελπίδας. Ο έρωτας, το παιχνίδι, η εξουσία και η λαχτάρα για δημιουργία που θα γεννηθεί απ΄την καταστροφή ανιχνεύονται στις απαρχές του ανθρώπου.